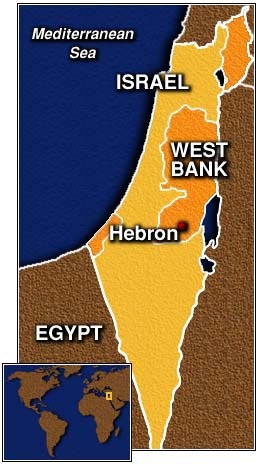 The name "Hebron" (or Chevron-pronounced with a hard "ch") is derived from the Hebrew word "chaver," or "friend." In Arabic, Hebron is called "Al Khalil," which also means "friend." Both Arabic and Hebrew are shortened forms of the phrase, "Friend of God," meaning Abraham. Abraham is the eponym of the Abrahamic religions, among which are Judaism, Christianity and Islam. According to both the Hebrew Bible and the Qur'an, through his sons Ishmael and Isaac, Abraham is the forefather of many tribes, namely the Ishmaelites, Israelites, Midianites and Edomites. Abraham was a descendant of Noah's son, Shem. Christians believe that Jesus was a descendant of Abraham through Isaac, and Muslims believe that Muhammad was a descendant of Abraham through Ishmael. Abraham is notable for his advocation and promotion of monotheism. The Book of Genesis narrative that records the life of Abraham presents his role as one that could only be fulfilled through a monotheistic covenant established between him and God. The Qur'an has stories about Abraham and his offspring that are similar to the Bible's. In Islam, Abraham is recognized as a prophet, patriarch and messenger, archetype of the perfect Muslim, and reformer of the Kaaba. Joseph Blenkinsopp writes that a common view among modern scholars is that the Genesis story of Abraham was not transmitted by oral traditions, but originated from literary circles of the 6th and 5th centuries BCE, where it served to assure the Israelites in exile that despite the destruction of Jerusalem, the Temple and the Davidic kingship, Yahweh's dealings with their ancestors provided a historical foundation on which hope for the future could be built. Abraham's association with Mamre and Hebron, in the south, in the territory of Jerusalem and Judah, suggests that this region was the original home of his cult. Some oral traditions, however, may still hold an earlier history. Hebron, located 32 km. (20 miles) south of Jerusalem in the Judean hills, is the site of the oldest Jewish community in the world, which dates back to Biblical times. The Book of Genesis relates that Abraham purchased the field where the Tomb of the Patriarchs is located as a burial place for his wife Sarah. According to Jewish tradition, the Patriarchs Abraham, Isaac, and Jacob, and the Matriarchs Sarah, Rebecca, and Leah are buried in the Tomb. The Cave of Machpelah is the world's most ancient Jewish site and the second holiest place for the Jewish people, after Temple Mount in Jerusalem. The cave and the adjoining field were purchased, at full market price, by Abraham some 3700 years ago. Abraham, Isaac, Jacob, Rebecca, and Leah are all later buried in the same Cave of Machpelah. 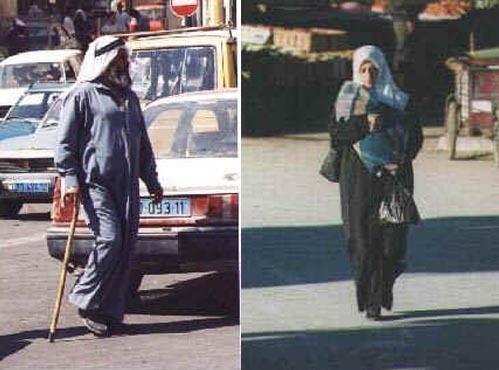 These are considered the Patriarchs and Matriarchs of the Jewish People. The only one who is missing is Rachel, who was buried near Bethlehem where she died in childbirth. The double cave, a mystery of thousands of years, was uncovered several years ago beneath the massive building, revealing artifacts from the Early Israelite Period (some 30 centuries ago). The structure was built during the Second Temple Period (about two thousand years ago) by Herod, King of Judea, providing a place for gatherings and Jewish prayers at the graves of the Patriarchs. This uniquely impressive building is the only one that stands intact and still fulfills its original function after thousands of years. Foreign conquerors and invaders used the site for their own purposes, depending on their religious orientation. The Byzantines and Crusaders transformed it into a church and the Muslims rendered it a mosque. About 700 years ago, the Muslim Mamelukes conquered Hebron, declared the structure a mosque and forbade entry to Jews, who were not allowed past the seventh step on a staircase outside the building. Hebron has a long and rich Jewish history. It was one of the first places where the Patriarch Abraham resided after his arrival in Canaan. King David was anointed in Hebron, where he reigned for seven years. One thousand years later, during the first Jewish revolt against the Romans, the city was the scene of extensive fighting. 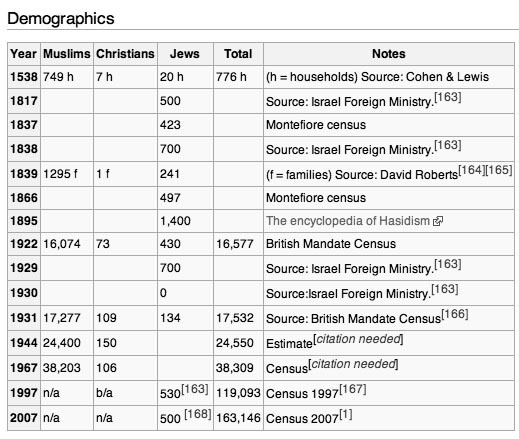 Jews lived in Hebron almost continuously throughout the Byzantine, Arab, Mameluke, and Ottoman periods. It was only in 1929 - as a result of a murderous Arab pogrom in which 67 Jews were murdered and the remainder were forced to flee - that the city became temporarily "free" of Jews. After the 1967 Six-Day War, the Jewish community of Hebron was re-established. It has grown to include a range of religious and educational institutions. Hebron contains many sites of Jewish religious and historical significance, in addition to the Tomb of the Patriarchs. These include the Tombs of Othniel Ben Kenaz, the first Judge of Israel (Judges 3:9-11); Avner Ben Ner, general and confidante to Kings Saul and David; and Ruth and Jesse, great-grandmother and father of King David. Victims of the 1929 pogrom, as well as prominent rabbinical sages and community figures, are buried in Hebron's ancient Jewish cemetery. The site of the Terebinths of Mamre ("Alonei Mamre") (Genesis 18:1), and King David's Pool, also known as the Sultan's Pool (II Samuel 4:12), are also located in Hebron. Upon the liberation of Hebron in 1967, the Chief Rabbi of the Israel Defense Forces, the late Major-General Rabbi Shlomo Goren, was the first Jew to enter the Cave of Machpelah. Since then, Jews have been struggling to regain their prayer rights at the site, still run by the Muslim Waqf (Religious Trust) that took control during the Arab conquest. Many restrictions are imposed on Jewish prayers and customs at the Tomb of the Patriarchs despite the site's significance, primacy and sanctity in Jewish heritage and history. Over 300,000 people visit Ma'arat HaMachpelah annually. The structure is divided into three rooms: Ohel Avraham, Ohel Yitzhak, and Ohel Ya'akov. Presently Jews have no access to Ohel Yitzhak, the largest room, with the exception of 10 days a year. Archaeological excavations reveal traces of strong fortifications dated to the Early Bronze Age. The city was destroyed in a conflagration, and resettled in the late Middle Bronze Age. Hebron was originally a Canaanite royal city. Earlier, in Abraham's days, the city is said to be under Hittite control. In the narrative of the later Hebrew conquest, it is under Canaanite control and ruled by the three sons of Anak, descendants of the Nephilim (Joshua 10:5,6). The Book of Genesis mentions that it was formerly called Kirjath-arba, or "city of four", possibly referring to the four pairs or couples who were buried there, four tribes, four quarters four hills, or a confederated settlement of four families. Abraham's purchase of the Cave of the Patriarchs from the Hittites constitutes a seminal moment in the development of a Jewish attachment to the land. In settling here, Abraham is described as making his first covenant, an alliance with two local Amorite clans who became his baÕalei brit or masters of the covenant.The Abrahamic traditions associated with Hebron are nomadic, and may also reflect a Kenite element, since the nomadic Kenites are said to have long occupied the city, and Heber is the name for a Kenite clan. Thereafter, Hebron is said to have been wrested from the Canaanites by either Joshua, Judah or Caleb. The town itself, with some contiguous pasture land, is then said to have been granted to the Levites of the clan of Kohath, while the fields of the city, as well as its surrounding villages were assigned to Caleb, who expels the three giants, Sheshai, Ahiman, and Talmai, who ruled the city. Later, the biblical narrative has King David reign from Hebron for some seven years. It is there that the elders of Israel come to him to make a covenant before Yahweh and anoint him king of Israel. It was in Hebron again that Absalom has himself declared king and then raises a revolt against his father David. It became one of the principal centers of the Tribe of Judah and was classified as one of the six traditional cities of refuge for the slayer. Hebron continued to constitute an important local economic centre, given its strategic position along trading routes, but, as is shown by the discovery of seals at Lachish with the inscription lmlk Hebron (to the king. Hebron), it remained administratively and politically dependent on Jerusalem. After the destruction of the First Temple, most of the Jewish inhabitants of Hebron were exiled, and according to the conventional view, their place was taken by Edomites in about 587 BCE. Some Jews appear to have lived there after the return from the Babylonian exile, however.This Idumean town was said to have been in turn destroyed by Judah Maccabee in 167 BCE. The city appears to have long resisted Hasmonean dominance, however, and indeed as late as the First JewishÐRoman War was still considered Idumean. Herod the Great built the wall which still surrounds the Cave of the Patriarchs. During the first war against the Romans, Hebron was conquered by Simon Bar Giora, a Sicarii leader, and later burnt down by Vespasian's officer Cerealis. After the defeat of Simon bar Kokhba in 135 CE, innumerable Jewish captives were sold into slavery at Hebron's Terebinth slave-market. The city was part of the Byzantine Empire in Palaestina Prima province at the Deocese of the East. The Byzantine emperor Justinian I erected a Christian church over the Cave of Machpelah in the 6th century CE, which was later destroyed by the Sassanid general Shahrbaraz in 614 when Khosrau II's armies besieged and took Jerusalem. Hebron was one of the last cities of Palestina Prima to fall to the Islamic invasion in the 7th century. One Islamic tradition has it that the Prophet alighted in Hebron during his night journey from Mecca to Jerusalem, and the mosque in the city is said to conserve one of his shoes. The Rashidun Caliphate established rule over Hebron without resistance in 638, and converted the Byzantine church at the site of Abraham's tomb into a mosque. Trade greatly expanded, in particular with Bedouins in the Negev and the population to the east of the Dead Sea. The Caliphate lasted in the area until 1099, when the Christian Crusader Godfrey de Bouillon took Hebron and renamed it "Castellion Saint Abraham". He then gave Hebron to Gerard of Avesnes as the fief of Saint Abraham. Gerard of Avesnes was a knight from Hainault held hostage at Arsuf, north of Jaffa, who had been wounded by Godfrey's own forces during the siege of the port, and later returned by the Muslims to Godfrey as a token of good will. As a Frankish garrison of the Kingdom of Jerusalem its defence was precarious, being 'little more than an island in a Moslem ocean'. The Crusaders converted the mosque and the synagogue into a church. In 1106, an Egyptian campaign thrust into southern Judea and almost succeeded the following year in wresting Hebron back from the crusaders under Baldwin I of Jerusalem, who personally led the counter-charge to beat the Muslim forces off. In the year 1113 during the reign of Baldwin II of Jerusalem, according to Ali of Herat (writing in 1173), a certain part over the cave of Abraham had given way, and "a number of Franks had made their entrance therein". And they discovered "(the bodies) of Abraham, Isaac and Jacob", "their shrouds having fallen to pieces, lying propped up against a wall...Then the King, after providing new shrouds, caused the place to be closed once more". Similar information is given in Ibn at Athir's Chronicle under the year 1119; "In this year was opened the tomb of Abraham, and those of his two sons Isaac and Jacob. Many people saw the Patriarch. Their limbs had nowise been disturbed, and beside them were placed lamps of gold and of silver." The Damascene nobleman and historian Ibn al-Qalanisi in his chronicle also alludes at this time to the discovery of relics purported to be those of Abraham, Isaac and Jacob, a discovery which excited eager curiosity among all three communities in the southern Levant, Muslim, Jewish, and Christian. A royal domain, Hebron was handed over to Philip of Milly in 1161 and joined with the Seigneurie of Transjordan. A bishop was appointed to Hebron in 1168 and the new cathedral church of St Abraham was built in the southern part of the Haram. In 1167 the episcopal see of Hebron was created along with that of Kerak and Sebastia (the tomb of John the Baptist). The Kurdish Muslim Saladin retook Hebron in 1187 - again with Jewish assistance according to one late tradition, in exchange for a letter of security allowing them to return to the city and build a synagogue there. The name of the city was changed back to Al-Khalil. A Kurdish quarter still existed in the town during the early period of Ottoman rule. Richard the Lionheart retook the city soon after. Richard of Cornwall, brought from England to settle the dangerous feuding between Templars and Hospitallers, whose rivalry imperiled the treaty guaranteeing regional stability stipulated with the Egyptian Sultan As-Salih Ayyub, managed to impose peace on the area. But soon after his departure, feuding broke out and in 1241 the Templars mounted a damaging raid on what was, by now, Muslim Hebron, in violation of agreements. In 1260, after the Mongol raids into Palestine, one of which touched Hebron, Sultan Baibars's Mamluk rule established peace. 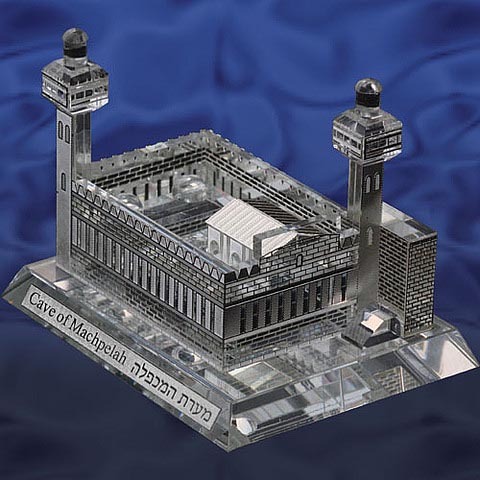 The minarets were built onto the structure of the Cave of Machpelah/Ibrahami Mosque at that time. Six years later, while on pilgrimage to Hebron, Baibars promulgated an edict forbidding Christians and Jews from entering the sanctuary, and the climate became less tolerant of Jews and Christians than it had been under the prior Ayyubid rule. The edict for the exclusion of Christians and Jews was not strictly enforced until the middle of the 14 Century and by 1490 not even Muslims were permitted to enter the underground caverns. The mill at Artas was built in 1307 where the profits from its income were dedicated to the Hospital in Hebron.Between 1318-20, the Na'ib of Gaza and much of coastal and interior Palestine ordered the construction of Jawli Mosque to enlarge the prayer space for worshipers at the Ibrahimi Mosque. Many visitors wrote about Hebron over the next two centuries, among them Nachmanides (1270), Ishtori HaParchi (1322) and Rabbi Meshulam from Volterra (1481). HaParchi in 1322 does not record any Jews in Hebron. Minute descriptions of Hebron were recorded in Stephen von GumpenbergÕs Journal (1449), by Felix Fabri (1483) and by Mejr ed-Din It was in this period, also, that the Mamluk Sultan Qa'it Bay revived the old custom of the Hebron "table of Abraham," and exported it as a model for his own madrasa in Medina. This became an immense charitable establishment near the Haram, distributing daily some 1,200 loaves of bread to travelers of all faiths. The expansion of the Ottoman Empire along the southern Mediterranean coast under sultan Selim I coincided with the establishment of Inquisition commissions by the Reyes Catolicos in Spain, which ended centuries of the Iberian convivencia. The ensuing expulsions of the Jews drove many Sephardi Jews into the Ottoman provinces, settling in Constantinople, Salonika, Sarajevo, Sofia and Anatolia. With the Holy Land incorporated into the Ottoman empire, a slow influx of Jews performing aliyah took place, and some Sephardi kabbalists settled in Hebron. By 1523, a Karaite community, consisting of 10 families, is recorded as living in Hebron, It was from them that, in 1540, Rabbi Malkiel Ashkenazi bought a courtyard (El Cortijo) and the house of prayer which he converted to the Sephardi Abraham Avinu Synagogue. This structure was restored in 1738 and enlarged in 1864, but the community was small. Decades later, it was still difficult to form a minyan, or quorum of ten, for prayer. The congregation also suffered from heavy debts, almost quadrupling from 1717 to 1729. During the Ottoman period, the dilapidated state of the patriarchs' tombs was restored to a semblance of sumptuous dignity. Hebron also became known throughout the Arab world for its glass production, and the industry is mentioned in the books of 19th century Western travelers to Ottoman Syria. For example, Ulrich Jasper Seetzen noted during his travels in Ottoman Syria in 1808-09 that 150 persons were employed in the glass industry in Hebron, while later, in 1844, Robert Sears wrote that Hebron's population of 400 Arab families "manufactured glass lamps, which are exported to Egypt. Provisions are abundant, and there is a considerable number of shops." Early 19th century travellers also remarked on Hebron's flourishing agriculture. Apart from glassware, it was a major exporter of dibse, grape sugar, from the famous Dabookeh grapestock characteristic of Hebron. In 1820 it was reported that there were about 1,000 Jews in Hebron, and in 1823, the Lubavitcher Hasidic movement established a community. A Peasant Arab revolt broke out in April 1834 when Ibrahim Pasha of Egypt announced he would recruit troops from the local Muslim population. An estimated 750 Muslims from Hebron had been drafted as soldiers, and some 500 of them were killed. Hebron, headed by its nazir Abd ar-Rahman Amr, declined to supply its quota of conscripts for the army and suffered badly from the Egyptian campaign to crush the uprising. The town was invested and when its defences fell on 4 August it was sacked by Ibrahim Pasha's army. Most of the Muslim population managed to flee beforehand to the hills. Many Jews fled to Jerusalem, but during the general pillage of the town five were killed. In 1838, Hebron had an estimated 1,500 taxable Muslim households, in addition to some 240 Jews, 41 of whom were tax-payers. Taxpayers consisted here of male heads of households who owned even a very small shop or piece of land. 200 Jews and one Christian household were under 'European protections'. The total population was estimated at 10,000. When the Government of Ibrahim Pasha fell in 1841, the local clan-head Abd ar-Rahman Amr once again resumed the reins of power as the Sheik of Hebron. Due to his extortionate demands for cash from the local population, most of the Jewish population fled to Jerusalem. In 1842 it was estimated that about 400 Arab and 120 Jewish families lived in Hebron, the latter having been diminished in number following the destruction of 1834. In 1846 the Ottoman Governor-in-chief of Jerusalem (serasker), Kõbrõslõ Mehmed Emin Pasha, waged a campaign to subdue rebellious sheiks in the Hebron area, and while doing so, allowed his troops to sack the town. Though it was widely rumoured that he secretly protected Abd ar-Rahman, the latter was deported together with other local leaders (such as Muslih al-'Azza of Bayt Jibrin), but he managed to return to the area in 1848. By 1850, the Jewish population consisted of 60 Sephardi families and a 30-year old Ashkenazi community of 50 families. In 1855, the newly appointed Ottoman pasha ("governor") of the sanjak ("district") of Jerusalem, Kamil Pasha, attempted to subdue the rebellion in the Hebron region. Kamil and his army marched towards Hebron in July 1855, with representatives from the English, French and other Western consulates as witnesses. After crushing all opposition, Kamil appointed Salama Amr, the brother and strong rival of Abd al Rachman, as nazir of the Hebron region. After this relative quiet reigned in the town for the next 4 years. Hungarian Jews of the Karlin Hasidic court settled in another part of the city in 1866. Arab-Jewish relations were good, and Alter Rivlin, who spoke Arabic and Syrian-Aramaic, was appointed Jewish representative to the city council. From 1874 the Hebron district as part of the Sanjak of Jerusalem was administered directly from Istanbul. Late in the 19th century the production of Hebron glass declined due to competition from imported European glass-ware, however, the products of Hebron continued to be sold, particularly among the poorer populace and traveling Jewish traders from the city. At the World Fair of 1873 in Vienna, Hebron was represented with glass ornaments. A report from the French consul in 1886 suggests that glass-making remained an important source of income for Hebron, with four factories earning 60,000 francs yearly. The Jewish community was under French protection until 1914. Hebron was 'deeply Bedouin and Islamic', and 'bleakly conservative' in its religious outlook, with a strong tradition of hostility to Jews. The Jewish presence itself was divided between the traditional Sephardi community, Orthodox and anti-Zionist, whose members spoke Arabic and adopted Arab dress, and the more recent influx of Ashkenazis. They prayed in different synagogues, sent their children to different schools, lived in different quarters and did not intermarry. The British occupied Hebron on 8 December 1917. a move sanctioned as a part of the Mandatory Palestine. The Palestinian Arab decision to boycott the 1923 elections for a Legislative Council was made at the fifth Palestinian Congress, at which most of the Arab political organisations were represented. It was reported by Murshid Shahin (a pro-zionist activist) that there was intense resistance in Hebron to the elections. At this time, following attempts by the Lithuanian government to draft yeshiva students into the army, the Lithuanian Knesses Yisroel relocated to Hebron, after consultations between Rabbi Nosson Tzvi Finkel, Yechezkel Sarna and Moshe Mordechai Epstein. The majority of the Jewish population lived on the outskirts of Hebron along the roads to Be'ersheba and Jerusalem, renting homes owned by Arabs, a number of which were built for the express purpose of housing Jewish tenants, with a few dozen within the city around the synagogues. In the 1929 Hebron massacre, Arab rioters slaughtered some 64 to 67 Jewish men, women and children and wounded 60, and Jewish homes and synagogues were ransacked; 435 Jews survived by virtue of the shelter and assistance offered them by their Arab neighbours, who hid them. Two years later, 35 families moved back into the ruins of the Jewish quarter, but on the eve of the Palestinian Arab national revolt (April 23, 1936,) the British Government decided to move the Jewish community out of Hebron as a precautionary measure to secure its safety. The sole exception was the 8th. generation Hebronite Ya'akov ben Shalom Ezra, who processed dairy products in the city, blended in well with its social landscape and resided there under the protection of friends. In November 1947, in anticipation of the UN partition vote, the Ezra family closed its shop and left the city. At the beginning of the 1948 Arab-Israeli War, Egypt took control of Hebron. By late 1948 part of the Egyptian forces from Bethlehem to Hebron had been cut off from their lines of supply and Pasha Glubb sent 350 Arab Legionnaires and an armoured car unit to Hebron to reinforce them there. When the Armistice was signed, the city thus fell under Jordanian military control. The day after the truce agreement Shaykh Muhamad 'Ali al-Ja'bari, Mayor of Hebron and supporter of King Abdullah I of Jordan attended the Jericho Conference presided over a meeting hoping to pass a resolution calling for the unification of the Palestinian West Bank and Jordan, only to find many other notables reluctant to cede their claim to Palestine. Much of the ensuing settlement was planned and financed by the Movement for Greater Israel. Failing to obtain a green light from the government, though with Allon's consent,on Passover in 1968, a group led by Rabbi Moshe Levinger rented the main hotel in Hebron as Swiss tourists, with Haim Drukman presiding over seder, and then refused to leave. A Druze border policeman who had assisted Levinger was shot the next day. The Labor government's survival depended on the National Religious Party, and was reluctant to evacuate the settlers, given the massacre that occurred decades earlier. After heavy lobbying by Levinger, the settlement gained the tacit support of Levi Eshkol and Yigal Allon, while it was opposed by Abba Eban and Pinhas Sapir. In 1979, a group of settlers led by Miriam Levinger moved into the Dabouia, or former Hadassah Hospital, now Beit Hadassah, in central Hebron, and founded the Committee of The Jewish Community of Hebron near the Abraham Avinu Synagogue. The take-over created severe conflict with Arab shopkeepers in the same area, who appealed twice to the Israeli Supreme Court, without success. With this precedent, in February of the following year, the Government legitimized residency in the city of Hebron proper. The pattern of settlement followed by an outbreak of hostilities with local Palestinians was repeated later at Tel Rumeida. The most violent episode occurred on the 2 May 1980 when 6 yeshiva students died, on the way home from Sabbath prayer at the Tomb of the Patriarchs, in a grenade and firearm attack. The event provided a major motivation for settlers near Hebron to join the Jewish Underground. Supporters of Jewish resettlement within Hebron see their program as the reclamation of an important heritage dating back to Biblical times, which was dispersed or, it is argued, stolen by Arabs after the massacre of 1929. The purpose of settlement is to return to the 'land of our forefathers', and the Hebron model of reclaiming sacred sites in Palestinian territories has pioneered a pattern for settlers in Bethlehem and Nablus. Many reports, foreign and Israeli, are sharply critical of the settlers. Hebron was the one city excluded from the interim agreement of September 1995 to restore rule over all Palestinian West Bank cities to the Palestinian Authority. Since The Oslo Agreement, violent episodes have recurred in the city. The Cave of the Patriarchs massacre took place on February 25, 1994 when Baruch Goldstein, an Israeli physician and resident of Kiryat Arba, opened fire on Muslims at prayer in the Ibrahimi Mosque, killing 29, and wounding 125 before the survivors overcame and killed him. This event was condemned by the Israeli Government, and the extreme right-wing Kach party was banned as a result. The Israeli government also tightened restrictions on the movement of Palestinians in H2, closed their vegetable and meat markets, and banned Palestinian cars on Shuhada Street. The Jewish community has been subject to attacks by Palestinian militants, especially during the periods of the Intifadas; which saw 3 fatal stabbings and 9 fatal shootings in between the first and second Intifada (0.9% of all fatalities in Israel and the West Bank) and 17 fatal shootings (9 soldiers and 8 settlers) and 2 fatalities from a bombing during the second Intifada, and thousands of rounds fired on it from the hills above the Abu-Sneina and Harat al-Sheikh neighbourhoods. 12 Israeli soldiers were killed (Hebron Brigade commander Colonel Dror Weinberg and two other officers, 6 soldiers and 3 members of the security unit of Kiryat Arba) in an ambush.Two Temporary International Presence in Hebron observers were killed by Palestinian gunmen in a shooting attack on the road to Hebron. Since early 1997, following the Hebron Agreement, the city has been divided into two sectors: H1 and H2. The H1 sector, home to around 120,000 Palestinians, came under the control of the Palestinian Authority. H2, which was inhabited by around 30,000 Palestinians, remained under Israeli military control to protect several hundred Jewish residents in the old Jewish quarter. A large drop has since taken place in the Palestinian population in H2, identified with the impact of extended curfews, strict restrictions on movement with 16 check-points in place,the closure of Palestinian commercial activities near settler areas, and settler harassment. Survivors and descendants of that prior community are mixed. Some support the project of Jewish redevelopment, others commend living in peace with Hebronite Arabs, while a third group recommend a full pullout.Descendants supporting the latter views have met with Palestinian leaders in Hebron. In 1997 one group of descendants dissociated themselves from the settlers by calling them an obstacle to peace. Palestinian control of Hebron is of the 20 or 30 square kiliometers of H1, which contains around 120,000 Palestinians. In H2, where more than 500 Jewish settlers live among 30,000 Palestinians. The Palestinian populations' movements are heavily restricted, which Israel argues is due to threat of terrorist attacks. Palestinians are barred from using Shuhada Street, Hebron's principal thoroughfare, which was renovated thanks to funding by the United States. As a result of these restrictions, about half the shops in H2 have gone out of business since 1994 in spite of UN efforts to pay shopkeepers to remain in business. Palestinians cannot approach areas where settlers live without special permits from the IDF. A total of 86 Jewish families now live in Hebron. Jewish communities there are considered to be illegal by the UN under the Fourth Geneva Convention, though the Israeli government disputes this. Israeli organization B'Tselem states that there have been "grave violations" of Palestinian human rights in Hebron because of the "presence of the settlers within the city." The organization cites regular incidents of "almost daily physical violence and property damage by settlers in the city", curfews and restrictions of movement that are "among the harshest in the Occupied Territories", and violence and by Israeli border policemen and the IDF against Palestinians who live in the city's H2 sector. According to Human Rights Watch, Palestinian areas of Hebron are frequently subject to indiscriminate firing by the IDF, leading to many casualties. One former IDF soldier, with experience in policing Hebron, has testified to Breaking the Silence, that on the briefing wall of his unit a sign des ribing their mission aim was hung that read:"To disrupt the routine of the inhabitants of the neighbourhood." Hebron mayor Mustafa Abdel Nabi invited the Christian Peacemaker Teams to assist the local Palestinian community in opposition to what they describe as Israeli military occupation, collective punishment, settler harassment, home demolitions and land confiscation. An international unarmed observer force - the Temporary International Presence in Hebron (TIPH) was subsequently established to help the normalization of the situation and to maintain a buffer between the Palestinian Arab population of the city and the Jews residing in their enclave in the old city. On February 8, 2006, TIPH temporarily left Hebron after attacks on their headquarters by some Palestinians angered by the Jyllands-Posten Muhammad cartoons controversy. TIPH came back to Hebron a few months later. Over and around the cave itself, churches, synagogues and mosques have since been built. The Isaac Hall is now the Ibrahimi Mosque, and the Abraham Hall and Jacob Hall serve as a Jewish synagogue. In medieval Christian tradition, Hebron was one of the three cities, along with Juttah and Ain Karim, that boasted of being the home of Mary's cousin, Elizabeth, the mother of John the Baptist and wife of Zacharias, and thus possibly the birthplace of the Baptist himself. The Hebron archaeological museum has a collection of artifacts from the Canaanite to the Islamic periods. Abraham's Well and the tombs of Abner ben Ner (the commander of Saul and David's army), Ruth and Jesse are also located in the city.